Injectable fillers are substances that enhance the fullness of soft tissues, primarily in the face. Injectable fillers can be used alone or in combination with other procedures such as wrinkle reduction by injection of a neurotoxin ( BOTOX® Cosmetic, Xeomin®), or to refine the results of surgical rejuvenation. BOTOX® Cosmetic, the first neurotoxin to gain FDA approval for cosmetic use, is typically used to treat “dynamic” wrinkles, wrinkles produced by muscle movement; fillers are usually injected to fill “static” wrinkles, wrinkles caused by aging, gravity or loss of elasticity. Some fillers are based on natural substances derived from the human body; others are synthetic forms of these natural substances and may contain synthetic, biocompatible compounds. The differences among facial fillers are not only in their composition, but also in their preferred applications and the duration of their results. Some are “dermal” fillers, i.e., they are injected into the skin, and others are “subdermal” fillers, i.e., they are injected below the skin, and therefore are considered “volumizers”. 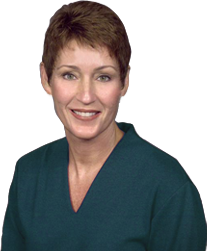 For your safety and ideal results, Dr. Rasmussen performs all injectable procedures herself, not an assistant. Collagen is a dermal filler derived from natural protein that comprises the supportive structure of skin. Injectable collagen formulas such as Zyderm® and Zyplast®, derived from bovine collagen, or Cosmoderm® and Cosmoplast®, derived from the human dermis, are used to soften wrinkles, raise recessed scars such as acne scars, and define the border of the lips to enhance them and make them appear more youthful. Bovine collagen, unlike human derived collagen, requires prior allergy skin testing. The results of treatment with injectable collagen generally last 3 months. Of note, all collagen derivatives have lidocaine in each syringe, making injection slightly less uncomfortable. Furthermore, collagen generally results in less local tissue reaction, i.e., redness, swelling, and tenderness is usually minimal and generally doesn’t last for more than an hour or two. The manufacturer of the collagen products named above also manufactures the JUVEDERM® family of injectables. Due to the popularity of this line, production of their collagen products ended at the close of 2010. This is unfortunate because some patient have skin imperfections that are better suited for collagen injections, and until such time another distributor purchases this line, this product is no longer available. Hyaluronic acid (such as Restylane®, Perlane®, Belotero® and JUVEDERM® Injectable Gel including JUVEDERM® Ultra, JUVEDERM® Ultra Plus, Juvederm VOLUMA® XC and the “XC” line) is a natural substance found in our bodies. These hyaluronic acid products are gels synthetically derived from bacteria with formulations of varying densities. Restylane® and JUVEDERM® Ultra are dermal fillers, and are especially well suited to fill facial wrinkles, especially the smile lines, and can be used to enhance the lip border. Belotero®, a superficial dermal filler, is especially well suited to fine wrinkles since it has less risk of producing a “gel” or bluish hue beneath the skin when injected superficially. Perlane® and JUVEDERM® Ultra Plus are subdermal fillers and are used to restore lost volume in the nasolabial folds, marionette folds or pre-jowl groove. Although the improvement achieved will begin to diminish within four to six months after treatment, results vary, and hyaluronic acid derivatives are FDA approved to last 6 to 12 months, depending on the product. Hyaluronic acid derivatives last longer than collagen derivatives but they result in more local tissue reaction, i.e., redness, swelling, and tenderness which may last for up to 72 hours. Up until recently, none of these products contained lidocaine (an anesthetic), so injection was more uncomfortable. Now the JUVEDERM® family has added JUVEDERM® Ultra XC and JUVEDERM® Ultra Plus XC, the “XC” stands for “extra comfort” since they contain lidocaine. However, Dr. Rasmussen still recommends applying a topical anesthetic for 30 to 60 minutes beforehand to minimize injection site discomfort. Juvederm VOLUMA® XC is the first and only FDA approved (in 2014) hyaluronic acid to correct age-related loss of volume in the mid face for up to 2 years with optimal treatment. Aging cheeks may loose the fullness of the soft tissue overlying cheek bones due to sagging or may develop hollows of the soft tissue below the cheek bones. This HA filler can create contours giving the appearance of a subtle lift while improving the flat and sunken appearance, ultimately resulting in a more youthful profile. Radiesse® (below) has been injected off-label in this area. There are a group of injectable fillers that are longer lasting, but with longevity may come more side effects or downsides. Sculptra™ is a synthetic product composed of poly-L-lactic acid. It is a subdermal filler, i.e., it acts as a volumizer. It may last a year or longer. It’s disadvantage is that it requires preparation/suspension requiring hours to days prior to injection necessitating strict appoinment scheduling. Sculptra™ was initially FDA approved only for HIV positive patients, but it received approval for cosmetic use in the Fall, 2009. Radiesse® is a synthetic substance based on calcium hydroxylapatite, a bone-like derivative FDA approved for subdermal injection for the correction of moderate to severe facial wrinkles and folds. As a product made of calcium-based microshperes suspended in a natural gel, it is a subdermal filler, i.e., volumizer, and in addition to immediate volume correction, it stimulates production of one’s own natural collagen. Therefore, it is a longer lasting filler, typically 12 to 18 months. It’s sister product, Radiance®, is considered a “permanent” filler (3 to 5 years), but due to it’s risk of foreign body reaction and “granulomatous formation”, it is not FDA approved as a facial soft tissue filler. It is, however, FDA approved for treatment of vocal cord stenosis and bladder stenosis, and some doctors inject it “off label”. If proper technique is used during injection, there should not be a problem with this type of reaction with Radiesse®. Note, Radiesse® has been used off-label for mid face enhancement, similar to what Juvederm VOLUMA® is approved. ArteFill® is a combination of bovine collagen and synthetic polymethylmethacrylate (PMMA), a bone-like derivative. The collagen serves as a carrier gel for the microspheres made of PMMA, one of the most common synthetics used in artificial implant materials. Because it has bovine collagen in it, a skin allergy test is necessary. It is FDA approved as a “permanent” dermal filler, i.e., it lasts 3 to 5 years. It is important to realize that as a “permanent” filler, if there is any dissatisfaction with the resulting appearance, one has to wait much longer for eventual resorption of the product. Having injectable filler can be like getting a haircut – sometimes it’s a perfect cut, but sometimes it’s not, and you can only wait for your hair to grow out. 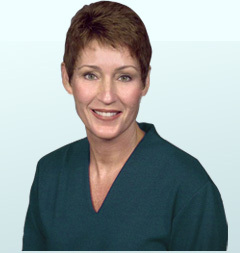 Dr. Rasmussen only offers ArteFill® to her long-time injectable filler patients with whom she is certain are comfortable with her injection technique. Bellafill®, a sister product to Artefill®, was approved by the FDA in 2015 for scar revision and is a good option for certain types of scars, especially those that are depressed or indented. BOTOX® is Botulinum toxin, produced by the bacterium Clostridia botulinum, a most potent neurotoxin. It exerts its effect at the neuromuscular junction, inhibiting the release of acetylcholine, producing a weakness or flaccid paralysis of muscle. In laymen’s terms, it works by blocking nerve impulses which reduce the movement of those muscles; with less movement, the skin’s surface gradually smooths out, decreasing the appearance of the wrinkle. BOTOX® has been approved by the FDA as safe and effective therapy “on-label” since 1989, for blepharospasm, strabismus, and hemifacial spasm. The NIH consensus conference of 1990 also included BOTOX® as safe and effective treatment “off-label” in the management of several spastic or dystonia disorders. BOTOX® also has been found to be a useful adjunct for minimizing or eliminating “hyperfunctional facial lines” or “wrinkles”, which is another “off-label” use. The exception is the use of BOTOX® Cosmetic for the reduction of the glabellar frown lines, which gained FDA approval in April, 2002. FDA approval for treatment of the “crows feet” (wrinkles around the eyes) was gained the Summer of 2013. Off-label use for treatment of wrinkles of the forehead furrowing is not uncommon. When injected into the dynamic wrinkle, the effects of BOTOX® Cosmetic may take 5 to 12 days. If the result is not sufficient by 2 weeks, the injection can be repeated. The resulting effect may last 3 to 5 months. In some patients who have been treated a number of times, the BOTOX® toxin effect may last for longer periods of time. Since BOTOX® Cosmetic is used to correct “dynamic” wrinkles, if the wrinkle does not go away completely despite paralysis of the muscle, injectable fillers may be used as an adjunct to get further improvement for the now “static” wrinkle. Although no systemic complications have been reported in cosmetic doses of BOTOX® (<100 units per treatment session), mild flu-like symptoms may be experienced. Local complications may include mild bruising or local pain related to the injection. There also may be weakness of adjacent muscles such as eyelid or eyebrow drooping. This may be related to diffusion of the toxin. This will disappear with time. Muscle biopsies taken from patients after repetitive BOTOX® injections have not shown any evidence of permanent muscle atrophy or degeneration. Patients receiving high doses may develop antibody to the toxin, which may block the effect, making the patient resistant to further therapy. These antibodies have not produced hypersensitivity reactions or anaphylaxis. More recently FDA approved, Xeomin® and Dysport® are competitive brands of BOTOX® Cosmetic, the most recognized name of neurotoxin that treats dynamic wrinkles. Xeomin® is very similar to the actions of BOTOX® Cosmetic and Dr. Rasmussen uses that product frequently as an alternative to BOTOX®. She chooses not to use Dysport® due to the theoretic increased risk of migration, which may result in the temporary paralysis of adjacent facial muscles.